An Environmental Policy is a written statement outlining your parish or mission community’s vision and driving force behind the objectives, targets and actions you are taking or will take in the future. The policy should be a top-level document that will need to change little. It should be supplemented with a set of plans of action in different policy areas. All actions should be associated with targets, be measurable and time-bound, and be challenging but realistic. The policy should be endorsed and actively supported by the leadership team, which may include clergy, lay leadership, PCC and churchwardens. The policy should enable the leadership team to communicate its aims to the congregation, local communities and other interested parties, such as suppliers, grant-making bodies, the DAC and planning officers. The overall aim should be along the lines of the above excerpt from the policy of the Church of England. The environmental policy could also refer to the following principles. The Sabbath principle of ‘enoughness’ is a challenge to us to rest from unnecessary consumption. ‘Environmental’ can refer to the ecological dimension (ecosystems), the social dimension (quality of life, climate and trade justice) and the economic dimension (management of resources and finances). Issues addressed by an environmental policy should include carbon emissions (and hence energy use in buildings and transport). Each parish and mission community should also adopt the targets for emissions reduction laid down in the Church of England’s seven-year plan link. Other issues could include (but are not limited to): air pollution, water resources and pollution, procurement and investment, waste management, the built environment, biodiversity, wildlife and endangered species. The policy could also attend to theology and worship, the communication of environmental issues, and the building of partnerships. In May 2006, Devon Churches Green Action produced “World Without End …? 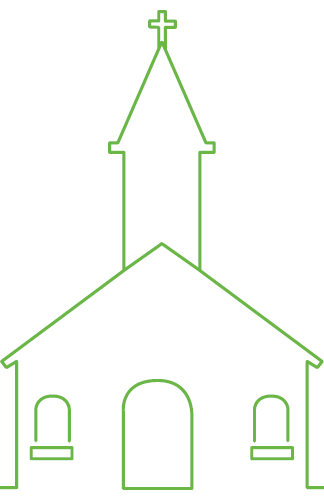 Devon Church Policies for Sustainability” (pdf, 2,116k), which provides background and guidance for churches on the development of policy. It includes suggestions for policy statements in the areas of energy, buildings and land, waste, water, transport, money and trade. Some of the material is slightly out of date, but it remains a useful reference. In the UK as a whole, the Climate Change Act 2008 is the main legislation aiming to improve carbon management and help the transition towards a low-carbon economy in the UK. It sets a legally-binding target of at least an 80% cut in greenhouse gas emissions by 2050, to be achieved through action in the UK and abroad, and a reduction in emissions of at least 34% by 2020. Both these targets are against a 1990 baseline. 4.1 The challenge before the Church of England is to realise the commitment to a reduction of 80% in its carbon footprint by 2050, in line with current consensus on steps needed to keep the global temperature increase to tolerable levels; and, if necessary, to revise this target if so required by emerging evidence, new findings and international agreement. 4.2 The Church is also challenged to cut its carbon footprint by at least 42% by 2020, in line with the recommendations of the UK Committee on Climate Change. This would involve at least 5% year-on-year cuts in emissions wherever possible. Development of further phases of Shrinking the Footprint will aim to reduce the Church’s ecological footprint to a “One Planet” level by 2050 at the latest. These targets are ambitious and tough. To achieve them will require considerable ingenuity, working with others in the community and possibly sacrifice. The church cannot with integrity be laggards in this area, and we want to challenge every parish and mission community to start thinking now about future visions and plans. Any targets you set for your shrinking your footprint need to be engaging for your clergy, staff and congregation, and drive the right behaviour in your church. You need to consider whether the target applies to just the church building, or the transport the congregation uses to get to the church, or even the whole congregation’s carbon footprints at home (you could encourage individual members to sign up). Action is urgent, so setting short-term targets is good, but it should not be a one-off effort followed by a long period of resting on your laurels. And any measures to meet short-term targets should not compromise the possibility of longer-term deeper reductions. Note that there is no point in setting a target for reducing your carbon footprint unless you know your current carbon footprint! National Church of England policies, including: “Sharing God’s Planet” and “Church and Earth 2009 – 2016”. 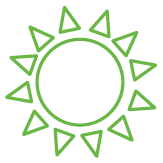 Diocesan environmental policies listed on the archived Eco-congregation website. NOTE: This pdf refers to the old website exeterstf.org.uk, which was retired when ecochurchsouthwest.org.uk was published. You can find much of the old content here on the Faith in Action section of the Diocese’s website. In particular, please see the reports “Diocese of Exeter Shrinking the Footprint: Report on Activities 2007-09” and “Diocese of Exeter – Shrinking the Footprint Achievements 2006-2016”. The 10:10 campaign asked people and organisations to pledge to reduce their carbon emissions by 10% in 2010, and it generated a lot of momentum to keep going. The Lent 2014 Carbon Fast asked church members in the south west to achieve a 40% reduction in gas, electricity and fuel during Lent.